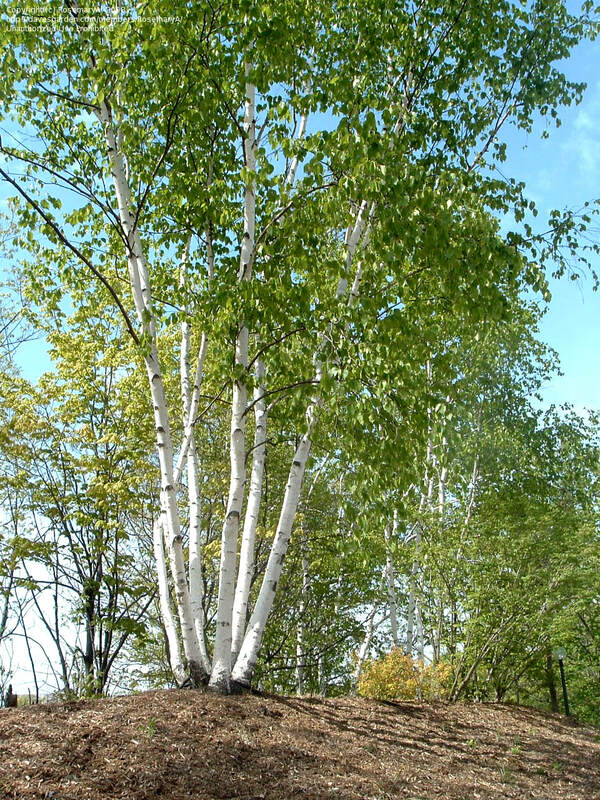 Of North American origin, where it is known as the Canoe Birch due to the Native Americans historically using the bark as a waterproofing material when constructing canoes and also wigwams. Betula papyrifera is one of the tallest of the birches making an upright growing tree of conical shape. Long golden catkins adorn the tree from early spring before dark green leaves - slight larger than the silver birch - that turn yellow and orange in autumn. In its juvenile years its bark is a mahogany red before turning to dazzling white and peeling periodically with maturity. An excellent alternative to silver birch for those looking for something a little different. Its fully hardy, grows well in our climate and whilst it is said to prefer sandy soils, I have seen it perform perfectly on a range of soil types.